One of the biggest challenges in photographing the Moon and planets is precise focusing of the object. Not all telescopes are well equipped for this. 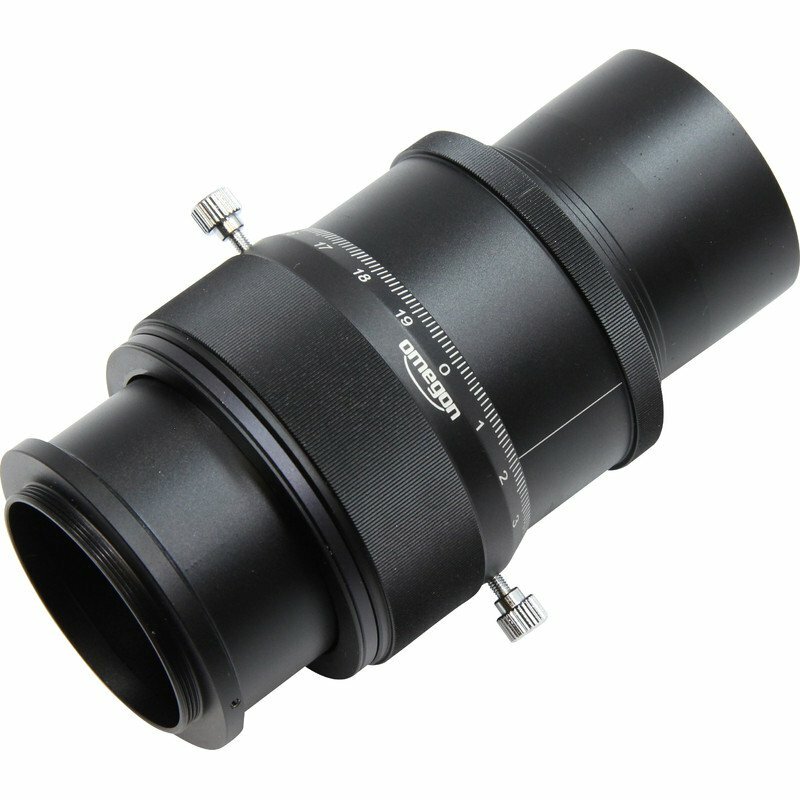 Equipping your telescope with the Omegon 2" helical focuser is quick and straightforward, and you will then always be able to find the perfect point of focus. Many telescopes have a focuser which does not allow very precise focusing. Especially difficult jobs such as focusing on a planet can be a real challenge. 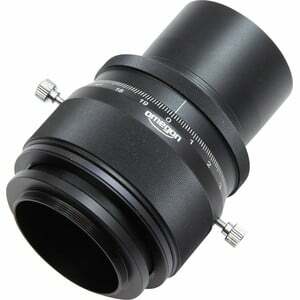 This helical focuser elegantly overcomes the problem. 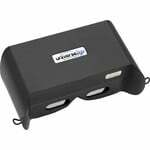 It is suitable for both refractors and Newtonian telescopes, but is also particularly useful with Schmidt-Cassegrain telescopes. You need to do nothing more than to connect it to your existing focuser. 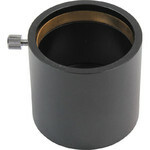 The helical focuser has a 2" barrel. This allows it be inserted into the focuser just like an eyepiece. 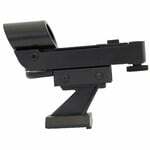 Its separate focusing mechanism now takes over the job of precision focusing. Once the helical focuser is attached, simply turn the oversized focusing knob - which you can control easily even with gloves on in winter. 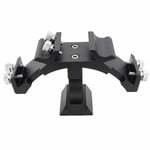 The rotating mechanism allows very smooth and continuous focusing, and without any play. 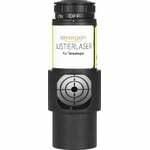 Your new focuser does exactly what you tell it to. A graduated scale always shows you the focus position you have just set. Once you've found the perfect point of focus, then you just need to remember this setting on the scale - you will then always be able to find it in future. The scale itself is similar to the millimetre markings on a ruler, but each marking here moves the focuser by only around 0.1 mm. What about that for precision? 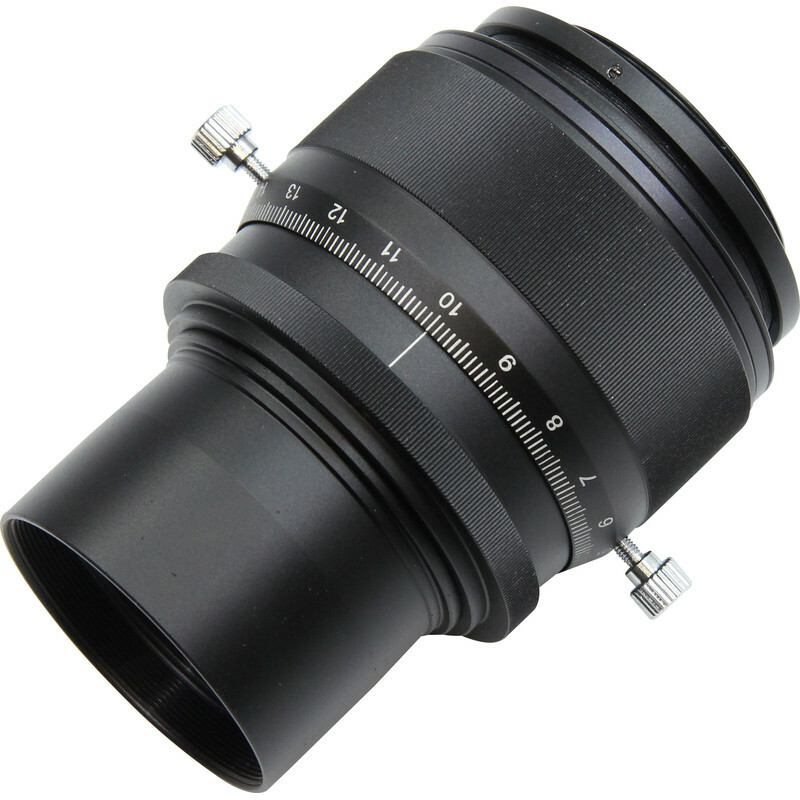 The accessory side of the focuser has a M48 thread for connecting your camera.